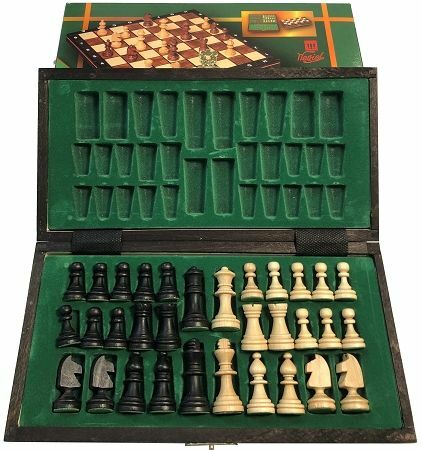 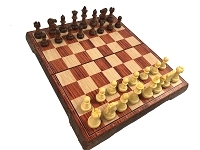 Wooden Magnetic Chess Set - 10 1/2" Folding Board - 2" King - Black "
Black 2" High King Polish Wooden Magnetic Travel Chess Set. 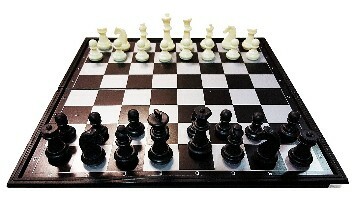 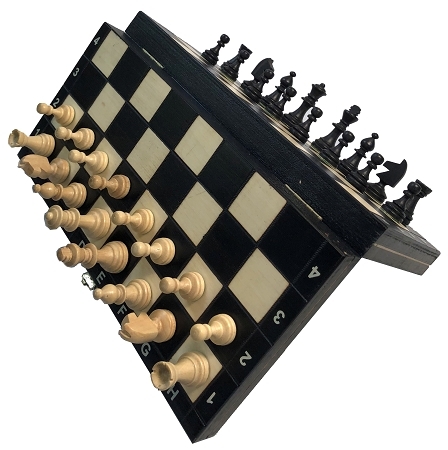 Chess board is 10 1/2" x 10 1/2" - Black. 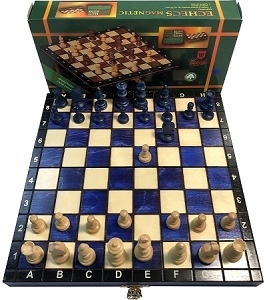 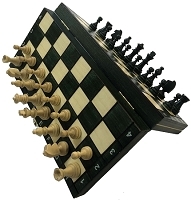 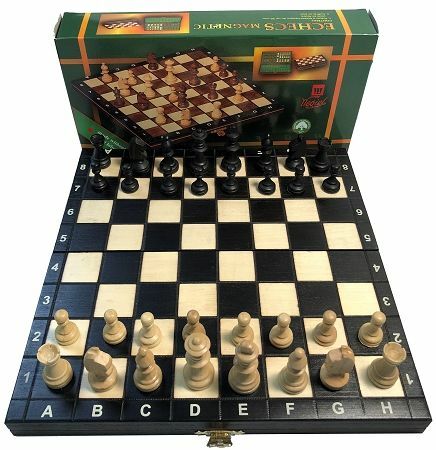 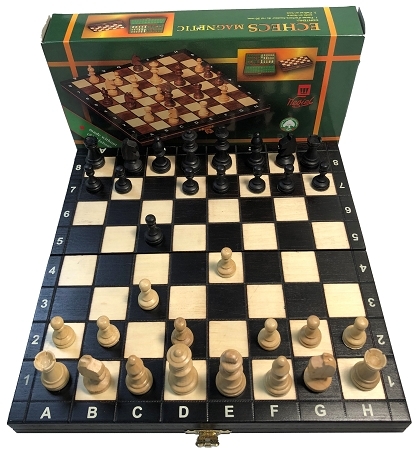 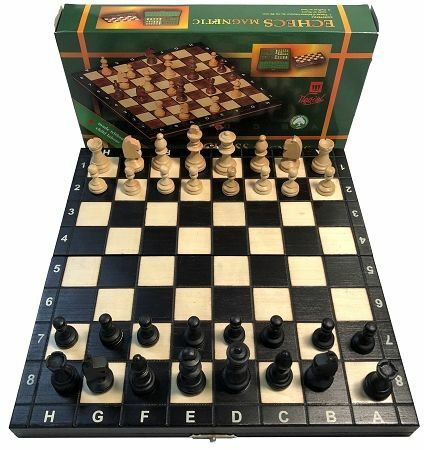 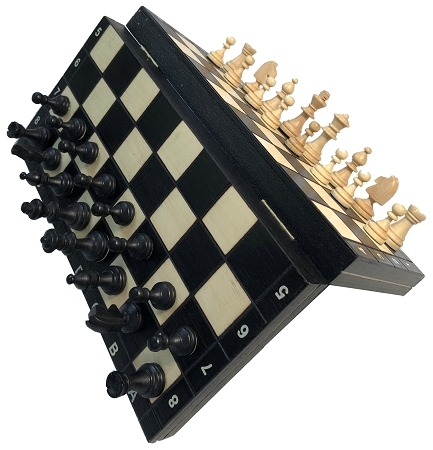 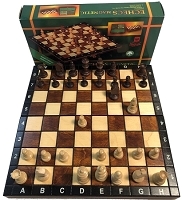 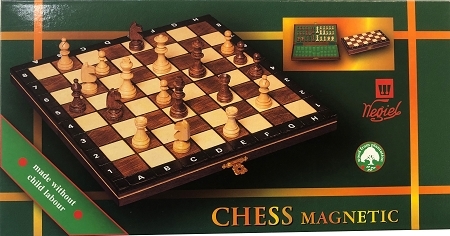 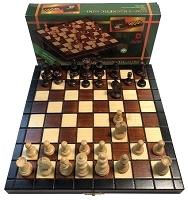 Magnetic Chess Set also available in Magnetic Chess Blue, Magnetic Chess Green, Magnetic Chess Brown, or Magnetic Wood Inlay.